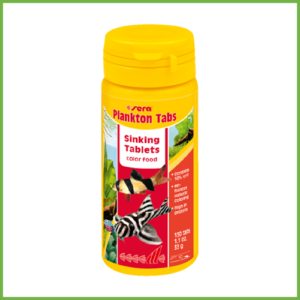 View basket “sera Plankton Tabs 50 ml 33g” has been added to your basket. sera ImmunPro is the slowly sinking breeder food for all ornamental fish above 4 cm (1.6 in.). The probiotics are applied to the food in a particularly gentle procedure and stabilize the intestinal flora of the ornamental fish. sera ImmunPro Mini is the slowly sinking breeder food for all ornamental fish up to 4 cm (1.6 in.). The probiotics are applied to the food in a particularly gentle procedure and stabilize the intestinal flora of the small ornamental fish. sera Spirulina Tabs 24 tabl.